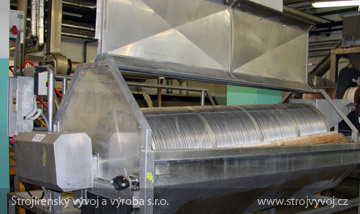 Pea sorting machine - Strojírenský vývoj a výroba s.r.o. 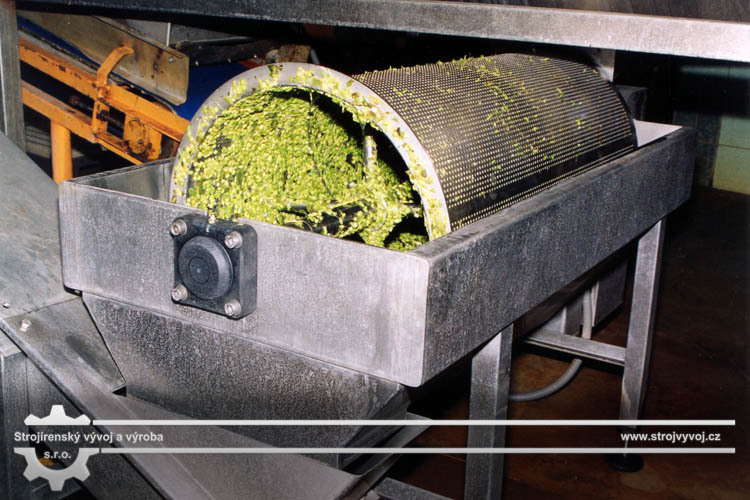 The pea sorting machine is designed to separate the residues of skin, pea fragments, and small impurities during pea processing. 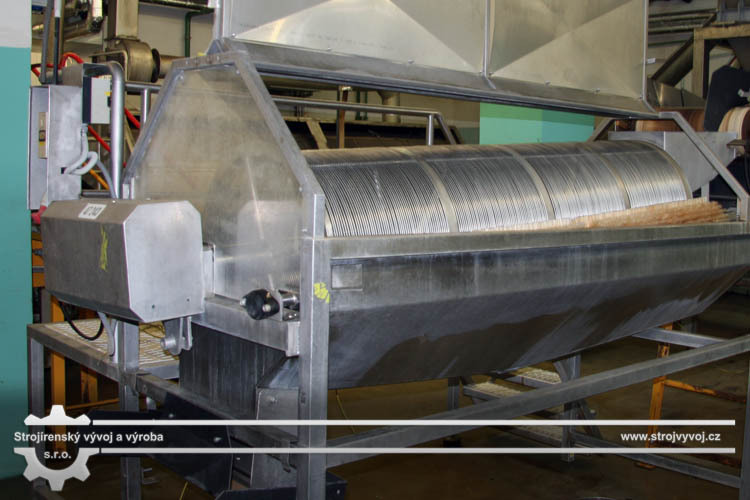 The waste falls through the drum holes, while pea balls are delivered by an auger inside the drum towards a discharge hopper. 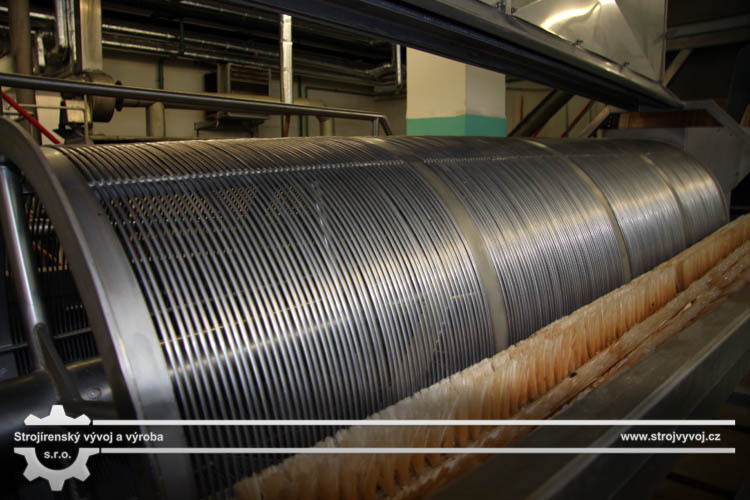 Within the line technology, the sorting machine is installed before the material filling machines. The separator cabinet is formed by a stainless steel tub mounted in a structure made of thin-walled profiles. On the right side, there is a platform with a staircase for the cleaning and inspection of the machine. 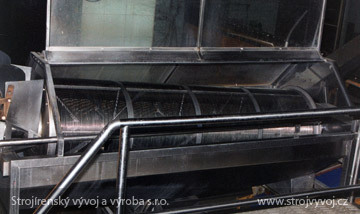 The bottom of the cabinet slopes towards the centre, so that the water containing impurities is drained into the next device - water separator. 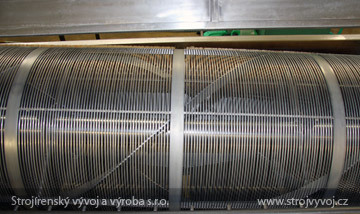 The separation drum is a welded cylinder with slit holes. 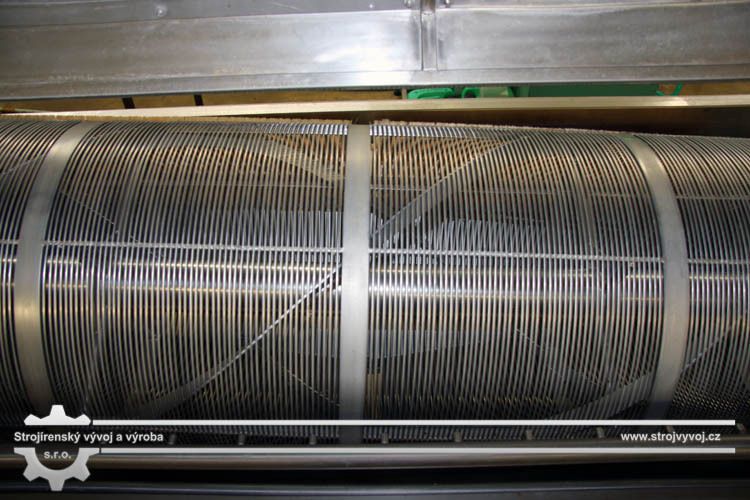 The drum rotates around its axis in two bearing housings. 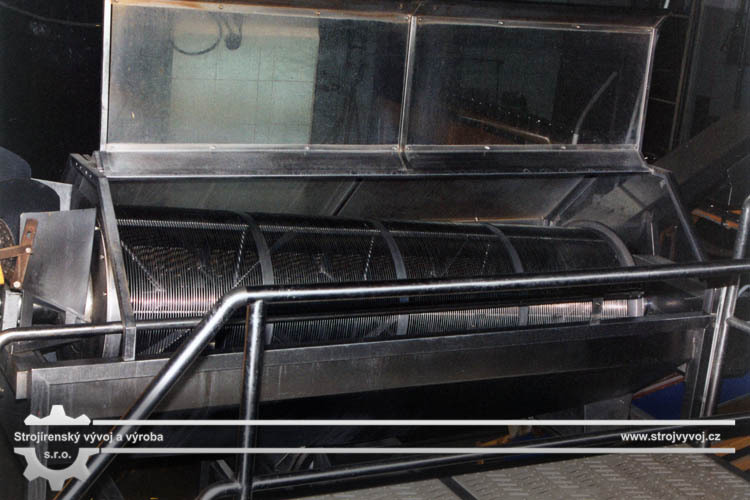 The material is cleaned and waste is washed off by a pressurized water distribution system. 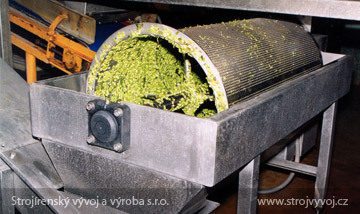 Cleaned peas fall from the output edge of the drum (without water) onto an output conveyor belt. 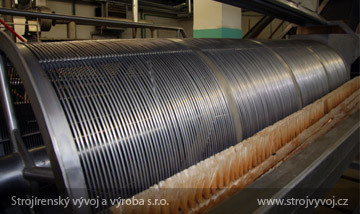 The slot holes are cleaned by rotating brushes. 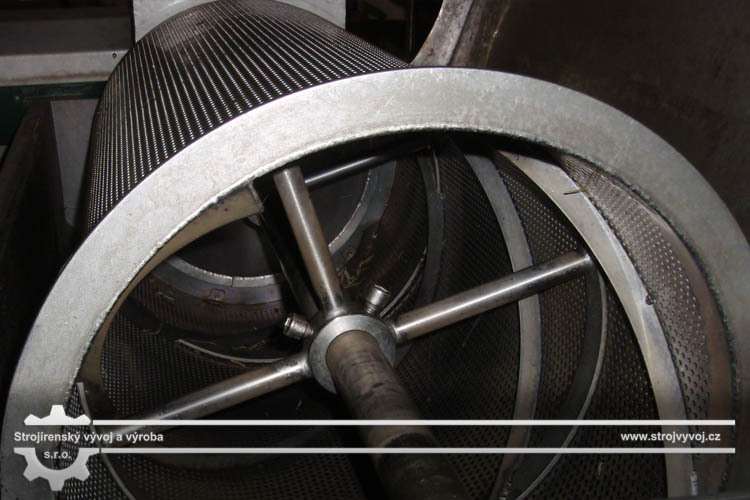 The separator is driven by a worm gear with an electric motor located on the drive shaft. 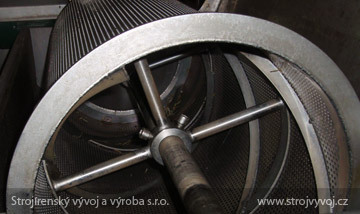 The rotation of the brushes is connected to the rotation of the separator drum.